When I think of a biergarten, I think of outside drinking, like what you'd find at an Octoberfest. When I think of Octoberfest, I think of dreary, rainy days. Coincidentally, today is a rainy day. That means it has to be a perfect evening for me to enjoy Leinie's BeerGarten Tart. Yes, I know that the "Tart" in the name of the beer leads itself to warmer weather than the Octoberfest experience I've just described. Fret not! It's pretty doggone humid in my apartment. Summer is just around the bend. It's a mixture of dreary rain and sticky humidity. As such, I'm willing to bet this Berliner Weisse-inspired brew'll be nice and refreshing. 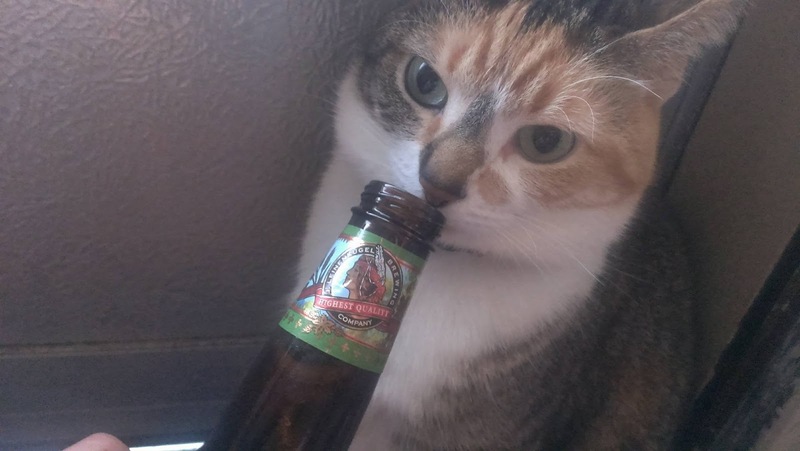 You know the Leinenkugel's story. I've shared it before. But, to jog your memory, here's the ultrashort version: The brewery is family-owned/operated and can trace its legacy back six generations to just after the Civil War. Based in Chippewa Falls, Wisconsin, Leinenkugel's weathered Prohibition and is pretty widely recognized today. If you're dying to know more of their history, I suggest checking out "Our Heritage" section of Leinie's website. BeerGarten Tart (I linked the brew's official page to its name) is a late-spring/early-summer seasonal that boasts an ABV of 4.8% and has a balance of tartness and sweetness. It's brewed with wheat from the good ol' US of A and pale malts. The brewery states that the beer is the perfect refreshment for warm summer days. Let's hope that it's also great for warm-yet-rainy late-spring evening. The beer has a very light aroma. Easy going with tart notes muddled in. I like it. It smells refreshing. 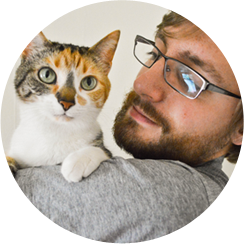 I'm willing to bet, though, that all Purrl smells are the tart bits (she doesn't like tartness). That must be why she only gave it four whiffs. On the flavor front, Leinie nailed the description: Tart front and center with a sweet aftertaste. There aren't any frivolous ingredients that play into the taste and there don't need to be any. This is a crisp, refreshing beer all on its own and every swig begets another. There's a mild carbonation to the brew. Each swig fills my mouth but it's nothing that'll make me belch if it drink it too quickly. It's full but light at the same time. This is a damn fine lawnmower beer. In fact, mowing the lawn is exactly what it makes me think of. When I was a kid I'd cut the grass at my parents' old house (this was before the family moved to the country) with a push mower (mind you, this was long before I had any desire to consumer "adult beverages"). Back then, I'd blast music on my portable CD player and push that mower all over the yard. About halfway through, I'd take a break to go inside and drink some lemonade. It was crisp, refreshing, and pleasantly tart. Just like this Berliner Weisse-style beer. 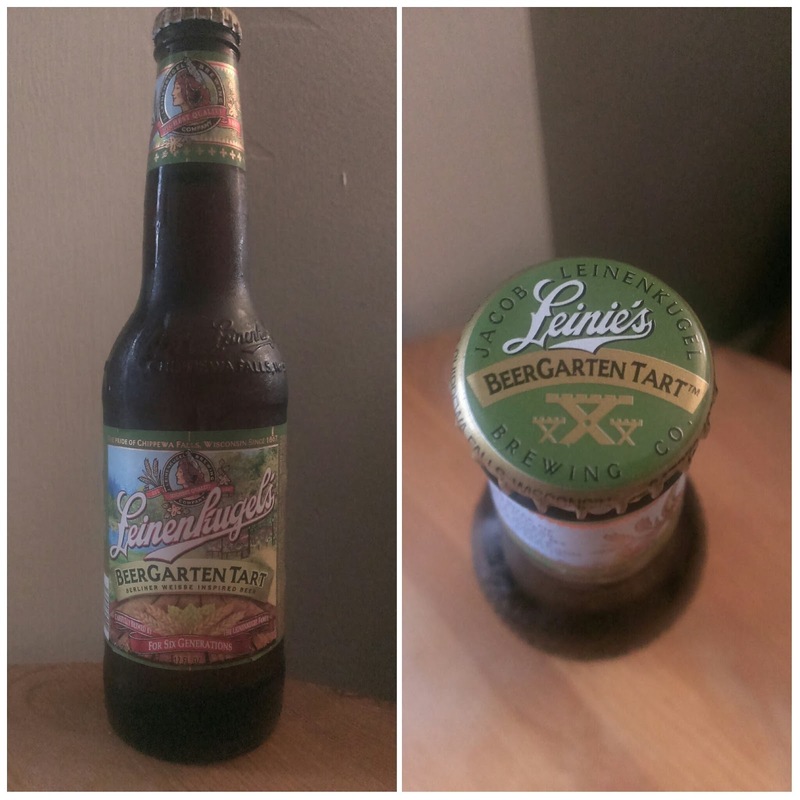 Leinenkugel's BeerGarten Tart is a good beer for both sunny and, especially, rainy days. Beers like this are the reason why the brewery has such market proliferation. It gets a hearty 9.0/10 from me. Grab it if you get the chance--I'm willing to bet you won't be disappointed.